Nationality: British. Born: Dudley, England, 22 July 1889 (some sources state 1896). Military Service: Held in prisoner-of-war camp, World War I. Career: Cartoonist for The Bystander , from 1910; actor and set designer for Birmingham Repertory Theatre, 1917–25; actor on London stage, from 1925; directed Journey's End on London stage, 1929; moved to Hollywood to direct film version, 1930; director for Universal, mostly of horror films, 1931–41; retired from film to pursue painting, 1941; attempted comeback Hello out There failed, 1949; occasional stage director, from 1949. Died: 30 May 1957. Clarens, Carlos, An Illustrated History of the Horror Film , New York, 1968. Baxter, John, Hollywood in the Thirties , New York, 1970. Butler, Ivan, Horror in the Cinema , 2nd revised edition, New York, 1970. Anobile, Richard, James Whale's "Frankenstein, " New York, 1974. Everson, William, Classics of the Horror Film , Secaucus, New Jersey, 1974. Tropp, Martin, Mary Shelley's Monster: The Story of Frankenstein , Boston, 1976. Ellis, Reed, Journey into Darkness: The Art of James Whale's Horror Films , New York, 1980. Curtis, James, James Whale , Metuchen, New Jersey, 1983. Gatiss, Mark, James Whale: or the Would-be Gentleman , London, 1995. Curtis, James, James Whale: A New World of Gods and Monsters , London, 1999. Obituary, in the New York Times , 30 May 1957. Edwards, Roy, "Movie Gothick: A Tribute to James Whale," in Sight and Sound (London), Autumn 1957. Fink, Robert, and William Thomaier, "James Whale," in Films in Review (New York), May 1962. Jensen, Paul, "James Whale," in Film Comment (New York), Spring 1971. Evans, Walter, "Monster Movies: A Sexual Theory," in Journal of Popular Film (Bowling Green, Ohio), Fall 1973. Evans, Walter, "Monster Movies and Rites of Initiation," in Journal of Popular Film (Bowling Green, Ohio), Spring 1975. White, D.L., "The Poetics of Horror: More than Meets the Eye," in Film Genre: Theory and Criticism , edited by Barry Grant, Metuchen, New Jersey, 1977. Clarens, Carlos, and Mary Corliss, "Designed for Film: The Hollywood Art Director," in Film Comment (New York), May/June 1978. Taylor, John Russell, "Tales of the Hollywood Raj," in Films and Filming (London), June 1983. Mank, G., "Mae Clarke Remembers James Whale," in Films in Review (New York), May 1985. Although he is primarily remembered as the director of the cult horror films Frankenstein, The Old Dark House, The Invisible Man , and The Bride of Frankenstein , James Whale contributed much more to the cinema. He also handled such stylish and elegant productions as Waterloo Bridge and One More River , which had little critical impact when they were first released and are, unfortunately, largely unknown today. 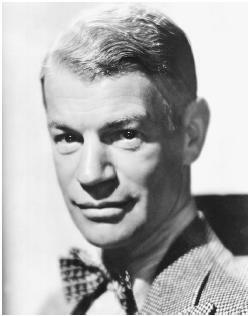 A quite, introspective man, James Whale's background was the stage, notably the original London and New York productions of R.C. Sheriff's pacifist play Journey's End. Aside from some work assisting Howard Hughes with the direction of Hell's Angels (work which is both negligible and best forgotten), James Whale made his directorial debut with Journey's End , a film which illustrates many of the qualities which were to mark Whale's later work: close attention to acting and dialogue, a striving for authenticity in settings, and a thoughtful use of camera (here somewhat hampered by the limits imposed on early talkies). From 1930 through 1937, while Whale was under contract to Universal and under the patronage of studio production head Carl Laemmle Jr., the director was able to turn out a group of literate and accomplished features. Among his varied productions was the First World War melodrama Waterloo Bridge , later remade in a gaudy Hollywood fashion by Mervyn LeRoy, but in this version noteworthy for its honest approach to its leading character's prostitution and a stunning performance by Mae Clarke (a favorite Whale actress). Both The Invisible Man and The Bride of Frankenstein are influenced by the director's earlier Frankenstein , but both contain an element of black humor which lifts them above the common horror film genre. The Kiss before the Mirror and By Candlelight possess an intangible charm, while One More River is simply one of Hollywood's best depictions of upper-class British life, memorable for the ensemble playing of its cast, headed by Diana Wynyard, and the one-liners from Mrs. Patrick Campbell. Show Boat demonstrates that Whale could handle a musical as easily as a romantic drama and is, without question, the finest screen version of the Jerome Kern-Oscar Hammerstein hit. All of Whale's Universal features were well received with the exception of his last, The Road Back , based on an Erich Maria Remarque novel and intended as a sequel to All Quiet on the Western Front. The Road Back today appears badly constructed, a problem created in part by the studio's interference with the production out of concern that the German government might find the film unacceptable. Whale's final films after leaving Universal are uniformly without interest, and contemporary response to them was lukewarm at best. The director simply grew tired of the hassles of filmmaking and retired. It has been suggested that Whale's homosexuality may have been unacceptable in Hollywood and helped to end his career, but he was a very private man who kept his personal life to himself, and it seems unlikely that his sexual preference created any problem for him or his employees; certainly Whale's homosexuality is not evident from his films, unless it be in the casting of the delightfully "camp" Ernest Thesiger in The Old Dark House and The Bride of Frankenstein.